Quick overview A comprehensive survey of the periodic table of the elements including the work of precursors, and the discovery of the periodic system by six independent scientists. Other chapters are devoted to Mendeleev, the impact of modern physics including Bohr's quantum theoretical approach. The extent to which modern quantum mechanics is able to explain the periodic system is carefully examined. system. The book is written in a lively style to appeal to experts and interested lay-persons alike. 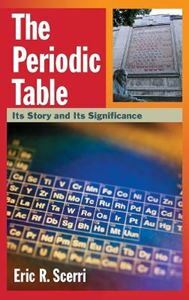 chapter 3 the discovery of the periodic system by six independent scientists is examined in detail. chemical knowledge to correct some of the early electronic configurations published by Bohr and others.